Measurement system scales are integrated weighing systems that are capable of improving upon the efficiency of material handling by offering a number of improvements over traditional industrial scales. Scales with improved technologies are capable of saving time and producing more precise and accurate results, which in many industries is absolutely vital. Ultra Precision Scales, for example, are designed to offer additional accuracy as well as greater durability for applications where a tough and durable scale with extremely precise and accurate results is demanded. These Ultra Precision scales are also available with digital indicators that offer Ethernet connectivity so that the system scale may communicate with computer software for tracking weighing data. 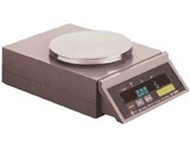 High quality measurement system scales are capable of weighing in pounds (lbs), ounces (oz), kilograms (kg) and grams. Some specialty scales are capable of weighing in other units as well, including pieces, percent and lb/oz. The benefits associated with integrated measurement system scales in applications involving material handling have come to be significant. Users can easily save time, money and space while they simultaneously increase their operational productivity, improving the management of their physical inventory and reducing discrepancies with vendors. Integrated measurement system scales are designed specifically to suit each individual application that they are intended for, and this allows for them to provide accurate and fast weights with every use. Another benefit offered by some measurement system scales is wireless weighing, which allows for weighing systems used in industry to produce weighing information and communicate it through a secured wireless network to computer software for data tracking. Advanced signal processing coupled with a superior wireless connection makes it possible for measurement system scales to communicate effortlessly with computers and computer software so that weight information can be taken automatically and stored safely. Some of these scales conform to the WiFi standards. These WiFi scales make it much easier to integrate the weighing data into the existing computer data structure. All types of scales and weighing instruments require durability, precision and accuracy. This includes the largest scales, such as crane and railroad scales, floor and platform scales and counter top models. Not only should these scales be capable of producing results that are accurate and precise, but they should also be capable of being customized fully to meet the needs of the user and the intended application. When measurement system scales can be fully customized to suit the individual user, that is when the weight results can be the most accurate based on the application. Whether the intended use is to weigh oversized loads such as train cars and cranes, or chemicals and food ingredients in measurements of fractions of a gram, measurement system scales are designed to be weighing solutions with the flexibility that the user needs, and comes to expect. In the past, having a unique weighing need was a deterrent that made obtaining accurate results difficult and tedious. With improvements in the technology of measurement system scales, it has become possible to develop customized weighing solutions to meet even the most rigorous weighing needs.